David (Dj) Wolff: International Trade/Sanctions & Embargoed Countries Lawyer: Washington, D.C.
David (Dj) Wolff is a partner and attorney at law in the firm's Washington, D.C. and London offices and a director with C&M International, the firm's trade policy affiliate. At Crowell & Moring, he practices in the International Trade practice group where his practice covers compliance with U.S. economic sanctions, export controls and antiboycott regimes, and anti-money laundering (AML) laws and regulations, including by providing day-to-day compliance guidance, developing compliance programs including through on-site compliance trainings, responding to government inquiries, conducting internal investigations, representing them during civil and criminal enforcement proceedings, and, in collaboration with colleagues, managing the potential conflict of laws which can arise from the interaction between extraterritorial impacts of U.S. regulations and third country "blocking" laws or data privacy regulations. Dj splits his time between Washington and London, working regularly with European clients and colleagues to provide coordinated guidance on U.S., U.K., and EU sanctions compliance and enforcement. Dj also has extensive experience in international mergers and acquisitions, advising both buyers and sellers regarding the international trade implications of a potential deal. Dj also works as a director with Crowell & Moring's affiliate, C&M International, where he assists clients with international market access issues and represents clients through the multinational negotiation and national implementation of treaties, as well as in the development and advancement of initiatives through the Asia-Pacific Economic Cooperation (APEC) Forum. Dj was selected as a "Rising Star" by Who's Who Legal: Investigations in 2018, one of the "40 under 40" in Investigations internationally by the Global Investigations Review in 2017, and one of the five finalists for the WorldECR Young Practitioner of the Year award in 2016. Secured successful closure of OFAC subpoena without penalty relating to a review of U.S. service provider’s compliance with Russia-related “sectoral” sanctions. Conducted week-long intensive sanctions training for more than 300 bank compliance officers in four countries on three continents over the course of three months. Implemented sanctions-screening system for U.S. manufacturer’s global operations, including designing the internal policies and procedures, training the internal compliance teams, and managing the review, escalation, and disposition of potential matches. Seconded to EU based financial institution’s branch office in Dubai to serve as in-house sanctions counsel providing daily guidance on sanctions-related compliance and investigation matters. Represented, including through direction of local counsel across three jurisdictions, a multinational manufacturer in response to a criminal inquiry from the Russian customs authority related to exports to Russia. Served, in collaboration with a U.K. colleague, as expert witnesses related to U.S. and U.K./EU economic sanctions, in litigation in Scotland, on behalf of a Scottish firm, related to the largest professional negligence claim ever filed in Scotland. Seconded to federally-regulated U.S. financial institution as its Global Economic Sanctions Compliance Leader responsible for overseeing a worldwide economic sanctions compliance program and a team of experts covering numerous third country subsidiaries and millions of annual transactions and customers. Led internal investigation for a U.S. manufacturer of activity undertaken by a newly acquired subsidiary in potential violations of U.S. and EU economic sanctions and export controls involving a team of lawyers in the U.S., United Kingdom, and Brussels. Collaborated with U.S. and EU data privacy colleagues to represent a non-U.S. subsidiary of a U.S. financial institution in a petition to the French Data Privacy authority for authorization to conduct screening for sanctions compliance against certain types of personal identifying information. Represented U.S. manufacturer of equipment used in refineries and downstream oil and gas facilities in reviewing all potential transactions for compliance with U.S. and EU blocking and sectoral sanctions on Russia. Represented a multinational publishing company with respect to the scope of the exemptions and authorizations related to informational material and publishing services for countries subject to U.S. embargo. Assisted in the internal review and development of a prospective trade compliance plan for a multinational service provider’s back-office support for its non-U.S. customers potentially doing business in sanctioned countries. Conducted due diligence on a potential target company’s compliance with U.S. economic sanctions and export controls on behalf of a U.S. private equity firm in a successful $1.4 billion acquisition. Represented a U.S. manufacturer in negotiations with the Bureau of Industry and Security (BIS) and Customs and Border Protection (CBP) to secure release of oil and gas equipment improperly seized before export to Russia. Secured commodity jurisdiction determination from the Department of Defense Trade Controls (DDTC) for a U.S. manufacturer to confirm its product was not subject to the International Traffic in Arms Regulations (ITAR). Prepared a series of commodity classification requests (CCATS) for a U.S. manufacturer. Represented a U.S. financial institution in an internal investigation and voluntary disclosure to the U.S. Commerce Department of potential violations of the U.S. antiboycott regulations. Prepared quarterly and annual antiboycott reports for the Commerce Department and the Treasury Department for U.S. manufacturer. Represented a multinational well services provider in a successful Court of International Trade (CIT) litigation and Federal Circuit appeal to overturn CBP's proposed customs classification and secure duty-free treatment of an imported product, resulting in millions in duty savings. Represented a U.S. consumer goods company in a petition to add new products to the list of those eligible for duty free importation under the Generalized System of Preferences (GSP). Represented a U.S. chemical manufacturer in a global review of its supply chain to optimize usage of U.S. and non-U.S. free trade agreements (FTAs) including NAFTA and KORUS and regional free trade agreements (RTAs) including those negotiated by ASEAN. Represented a wide range of U.S. associations in developing and advancing public-private initiatives in the Asia-Pacific Economic Cooperation Forum (APEC), including in-person meetings in China, Indonesia, Papua New Guinea, Peru, the Philippines, and Vietnam. Represented a U.S. trade association in negotiations with the European Commission regarding market access and regulatory cooperation aspects of the potential Trans-Atlantic Trade and Investment Partnership (TTIP). Represented a trade association during negotiating sessions of the World Intellectual Property Organization (WIPO) Intergovernmental Committee on Intellectual Property and Genetic Resources, Traditional Knowledge and Folklore. Coordinated a “roadshow” and in-person meetings for a U.S. trade association in countries party to the Trans-Pacific Partnership (TPP) during the TPP’s negotiations. Represented a non-profit in securing the first-ever public exemption granted by the United Nations Security Council’s 1718 Committee from North Korea related sanctions to a non-UN affiliated body. Secured OFAC and BIS licenses for U.S. non-profit to undertake multi-drug resistant tuberculosis treatment involving U.S. persons and U.S. products in North Korea. Prepared training on compliance with U.S. sanctions, export controls, and anti-corruption legislation for a U.S. non-profit providing in-person tuberculosis and AIDS treatment around the world. Represented DC inmate in Innocence Project motions and subsequent parole board hearings, ultimately resulting in the client’s successful release on parole. Coordinated C&M’s weekly tutoring program for the Thurgood Marshall Academy, a charter high school with a pre-law focus based in Anacostia. "Sanctions on North Korea and the Humanitarian Exemptions Process," 2018 International Conference on Humanitarian and Development Assistance to the DPRK, Seoul, South Korea (October 31, 2018). Presenter: David (Dj) Wolff. "OFAC Compliance: Considerations for the Hotel Industry," 2018 Hotel and Lodging Legal Summit, Washington, D.C. (October 26, 2018). Presenter: David (Dj) Wolff. "The Impact of U.S. and UN Sanctions on Humanitarian Work in the DPRK," National Assembly Building, Seoul, South Korea (June 20, 2018). Presenter: David (Dj) Wolff. "Sanctions in Year Two of the Trump administration: Russia, Iran, North Korea, and beyond," Trade in 2018 - What's Ahead?, Webinar (April 19, 2018). Presenters: Cari N. Stinebower, Michelle J. Linderman and David (Dj) Wolff. "Risky Business - International Commerce Under Stress: Russia, Cuba, and Qatar," Crowell & Moring Webinar (July 18, 2017). Speakers: Cari N. Stinebower, David (Dj) Wolff, and Mariana Pendás. "Suspicious Activity Reporting, 'Know Your Customer' Protocols, and Information Sharing: Detecting and Reporting on Potential Laundering or Fraudulent Activities and Overcoming the Challenges of Identification, Including Cases Involving Elder Exploitation," 7th Annual Forum on AML & OFAC Compliance for the Insurance Industry, New York, NY (January 19, 2017). Speaker: David (Dj) Wolff. "This Year in Trade – What's Ahead in 2017?" Webinar, Crowell & Moring's First 100 Days Series (January 18, 2017). Presenters: Benjamin Blase Caryl, Paul Davies, Maria Alejandra (Jana) del-Cerro, Charles De Jager, Carlton Greene, Robert L. LaFrankie, Aaron Marx, James (J.J.) Saulino, Alexander H. Schaefer, and David (Dj) Wolff. "Update on CBP's Forced Labor Detentions," Webinar (July 20, 2016). Presenters: Frances P. Hadfield and David (Dj) Wolff. “This Year in Trade: Economic Sanctions,” Crowell & Moring Webinar (March 16, 2016). Speaker: David (Dj) Wolff. "Practical Implications of Instituting an OFAC-Ready Global Sanctions Compliance Program," The WorldECR Export Controls & Sanctions Forum 2015, London, UK (October 14-15, 2015). Presenter: David (Dj) Wolff. “This Year in Trade: Economic Sanctions,” Crowell & Moring Webinar (October 8, 2015). Speaker: David (Dj) Wolff. "Export Controls, Economic and Trade Sanctions: The Challenges and Risks," Thompson Information Services Webinar (September 24, 2015). Presenters: Adelicia R. Cliffe, Christopher Monahan, Maria Alejandra (Jana) del-Cerro, and David (Dj) Wolff. 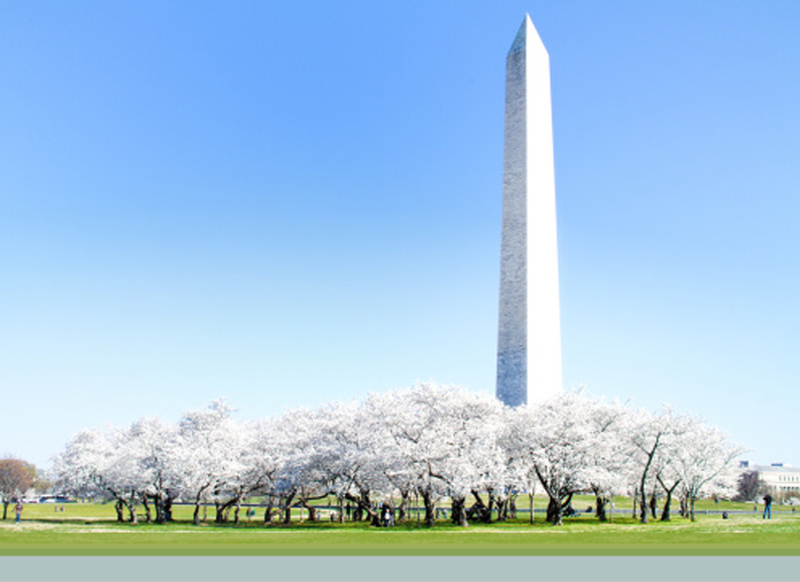 "Practical Implications of Instituting an OFAC-Ready Global Sanctions Compliance Program," The WorldECR Export Controls & Sanctions Forum 2015, Washington, D.C. (September 21-22, 2015). Presenter: David (Dj) Wolff. "Beyond Nagoya: Access and Benefit Sharing Requirements in the EU and WIPO," Personal Care Products Council Annual Legal and Regulatory Conference (April 2014). Presenter: David (Dj) Wolff. "Export Controls, Economic and Trade Sanctions: The Challenges and Risks," L2 Federal Resources Webinar (January 30, 2013). Presenters: Adelicia R. Cliffe, James (J.J.) Saulino, and David (Dj) Wolff. "Avoiding Anti-Corruption Violations During Customs Transactions" C5's 7th Annual Advanced Forum on Global Customs Compliance, in Brussels, Belgium (May 23-24, 2012). Co-Speakers: David (Dj) Wolff, Alan W. H. Gourley and Laurent Ruessmann. "e.l.f. Cosmetics Settles Potential Civil Liability for Apparent Violations of the OFAC North Korea Sanctions Regulations," Crowell & Moring's Retail & Consumer Products Law Observer (February 15, 2019). Authors: Edward Goetz, Frances P. Hadfield and David (Dj) Wolff. "OFAC Enforcement Action: Do You Know What Your Subsidiaries Are Doing?" Crowell & Moring's International Trade Law (February 15, 2019). Authors: David (Dj) Wolff, Frances P. Hadfield and Edward Goetz. "Venezuela: OFAC Issues Additional Clarification to Recent Expansion of Sanctions," Crowell & Moring's International Trade Law (February 12, 2019). Authors: David (Dj) Wolff and Alexandra Solórzano. "Importer Settles Potential Civil Liability for Apparent Violations of the OFAC North Korea Sanctions Regulations," Crowell & Moring's International Trade Law (January 31, 2019). Authors: Edward Goetz, Frances P. Hadfield and David (Dj) Wolff. "Forced Labor: The Interplay Between Sanctions and Customs Compliance in the Context of the Democratic People’s Republic of Korea (DPRK)" Crowell & Moring's International Trade Law (September 12, 2018). Authors: David (Dj) Wolff, Frances P. Hadfield and Edward Goetz. "Wind Down Period for Some Russian Companies Extended in New OFAC General License," Crowell & Moring's International Trade Law (June 6, 2018). Authors: David (Dj) Wolff and Edward Goetz. "OFAC Issues Two Updated Ukraine-Russia-Related General Licenses – Adds 3 FAQs, Amends 4 Others," Crowell & Moring's International Trade Law (May 2, 2018). Author: David (Dj) Wolff. "New Executive Order Adds New Sanctions Against Venezuela’s Petro Cryptocurrency," Crowell & Moring's International Trade Law (March 27, 2018). Authors: Cari N. Stinebower, Jeffrey L. Snyder and David (Dj) Wolff. "BIS Entity List: License Requirement for 12 Russian Companies Corrected; 23 Persons Added; Two Removed," Crowell & Moring's International Law (March 22, 2018). Authors: Jeffrey L. Snyder and David (Dj) Wolff. "OFAC Amends and Reissues North Korea Sanctions Regulations," Crowell & Moring's International Trade Law (March 5, 2018). Authors: Cari N. Stinebower, Jeffrey L. Snyder and David (Dj) Wolff. "President Trump Maintains Iran Sanctions Waivers, but Issues Ultimatum," Crowell & Moring's International Trade Law (January 17, 2018). Authors: Carlton Greene, Cari N. Stinebower, David (Dj) Wolff and Erik Woodhouse. "Sanctions Compliance as a Competitive Advantage in 2018 - The Challenge and Opportunity of Increasing Complexity," WorldECR, Issue 65 (December 2017). Authors: David (Dj) Wolff and Michelle J. Linderman. "Brexit: UK Trades Bargaining Power for Autonomy," Law360 (June 30, 2016). Authors: Charles De Jager, David (Dj) Wolff, and Gordon McAllister. "Reasserting Its Constitutional Role: Congress' Power to Independently Terminate a Treaty," 4 University of San Francisco Law Review 953 (May 2012). Author: David (Dj) Wolff. "New Trade Legislation — Opportunities And Challenges," International Trade Law360 (November 3, 2011). Co-Authors: John B. Brew, Melissa Coyle, Jini Koh, Ke Ji, David (Dj) Wolff, and Joshua Boswell. "Making 'Regulatory Coherence' Coherent," International Trade Law360 (April 25, 2011). Co-Authors: Theodore R. Posner and David (Dj) Wolff. "Agency's 'Mail Storm' Excuses Late Proposal," Crowell & Moring's Government Contracts Legal Forum Blog (April 8, 2011). Author: David (Dj) Wolff. "Are Retailers Paying too Much Duty on Plastic Handbag Imports?" Crowell & Moring's Retail Law Observer Blog (March 1, 2011). Co-Authors: John Brew and David (Dj) Wolff.